Platinum Pen Company launched the first of its Fuji Lake series of fountain pens back in 2011. This launch included a pen for each of the 5 lakes of Mt. Fuji. Lake Motosu, Lake Kawaguchiko, Lake Shojko, Lake Saiko and Lake Yamanakako. Every Platinum 3776 limited edition demonstrator pen reflects the characteristics of these lakes. These 5 limited edition versions of the 3776 pens came and went over the next few years, many people collecting each one. The newest Platinum 3776 fountain pen is the Platinum Oshino, named after Oshino Hakkai, a popular tourist destination in Japan. Oshino Hakkai is a small village located in the Fuji Five Lake region, between Lake Yamanakako and Lake Kawaguchiko. The eight clear water springs in Oshino Hakkai are fed by snow run-off from Mount Fuji. This water filters through the mountain’s porous layers of lava, resulting in crystal clear spring water. Oshino Hakkai rests where, hundreds of years ago, a former lake of Mount Fuji had dried out. Unlike the 5 lake series, the Platinum 3776 Oshino fountain pen will not be a limited edition pen, but part of Platinum’s regular 3776 series. The first 3000 Platinum Oshino pens, however, will be numbered prior to becoming part the regular production line. 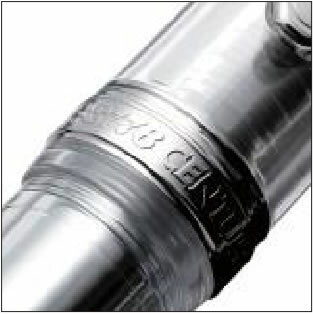 So, please pre-order your Platinum Oshino fountain pen in order to get a numbered edition of this fantastic new 3776 pen. 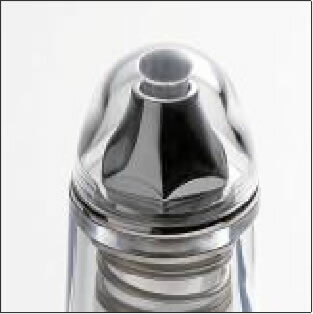 The Platinum 3776 Oshino fountain pen has a clear transparent demonstrator cap and barrel. Also, the pen evokes images of the crystal clear waters of the 8 springs found in Oshino Hakkai. Available for pre-order today, the Platinum 3776 Oshino fountain pen will be soon released in the United States on February 2nd, 2018. Another interesting part of the new Platinum 3776 Oshino fountain pen is the 3-dimensional motif of Mount Fuji in the crown of the pen. Since the pen has a clear resin cap you can see the small depiction of the world-renowned volcanic mountain. Like with all of Platinum’s 3776 fountain pens, the Platinum 3776 Oshino pen comes with a standard Platinum presentation box. An ink cartridge comes along with the pen, however you may add a converter for use with bottled inks. As well, Platinum’s “slip and seal” mechanism allows the pen to keep ink longer and not dry out as quickly. The Platinum 3776 Oshino fountain pen will be available in either a fine, medium or broad 14K gold nib. You will find the Oshino listed at $240 MSRP. Don’t miss out on this great new fountain pen from Platinum. This entry was posted in Fountain Pens and tagged fountain pen, new, Platinum on January 17, 2018 by Pen Chalet. That’s such a gorgeous pen !! A beautiful pen. I’m a huge fan of demonstrator pens.